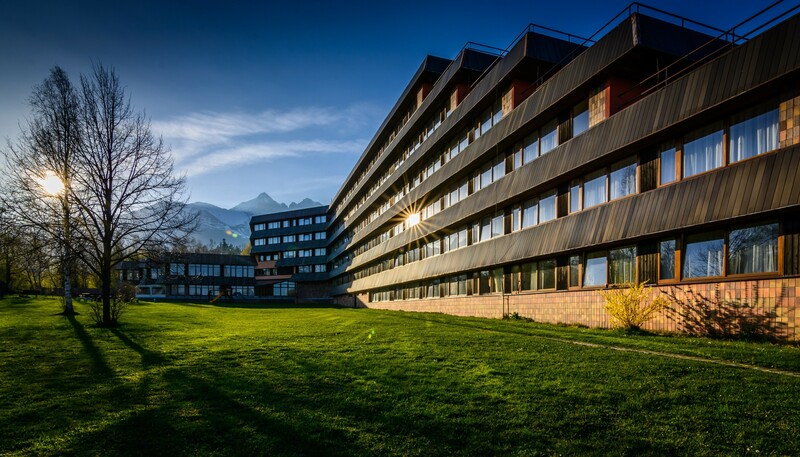 Overview of wellness hotels in the High Tatras and surroundings in alphabetical order - equipment, service procedures. The word wellness was first used by Sir A. English Johnson in the 17th century in conjunction with good health. In the second middle of last century rediscovered him in the U.S., when two gentlemen Donald B. Ardell and John Travis defined wellness as a state of physical and mental well-being can be achieved only responsible approach to their health, diet, if the condition in the vicinity. Wellness is therefore a way of life, leading to the creation of physical and mental balance. All positive effects are compounded by the beautiful mountain environment, which the human body acts in an extremely stimulating. Interesting architectural design creates ideal conditions for rest. 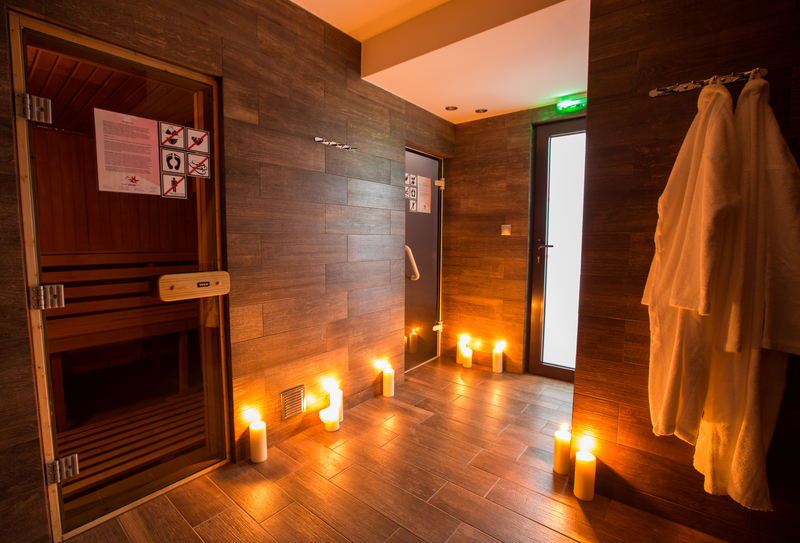 Underground vital world offers lime, menthol and citrus steam sauna, Finnish sauna, tepidarium, whirlpool bath with a capacity for 12 persons, shower world, massage, Softhys Concept - the beauty of skin and whole body, offered baths - slimming, stimulating or relaxing. 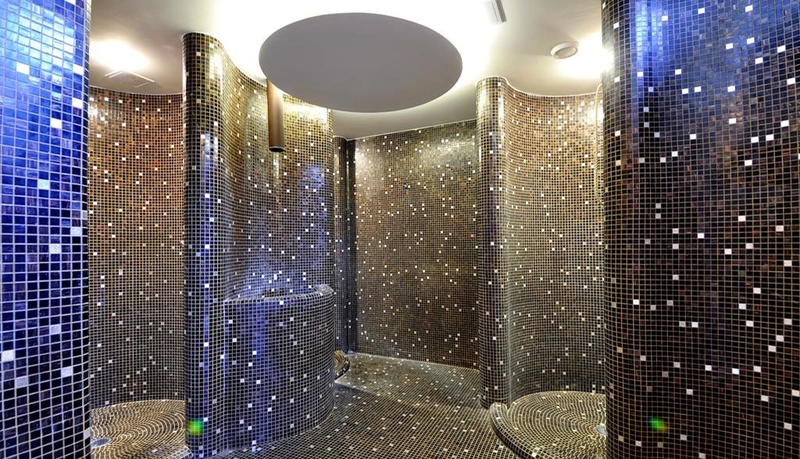 Wellness Centre Hotel is the perfect place for total relaxation and renewal energy. 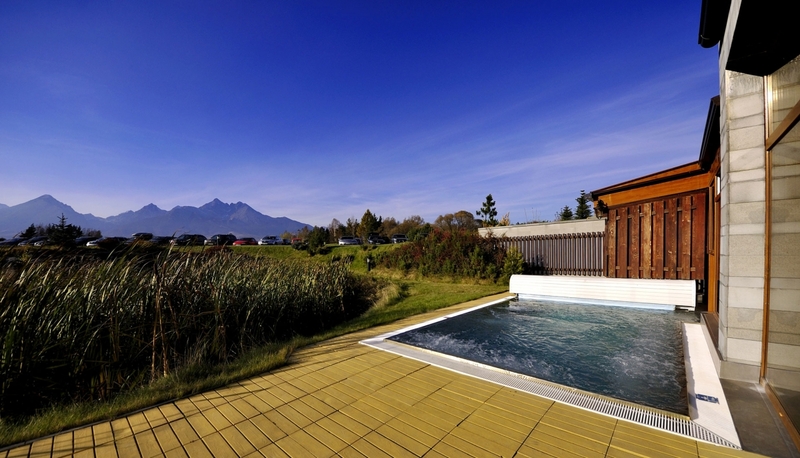 Outstanding is the terrace of the hotel jacuzzi overlooking the beautiful Tatra nature. 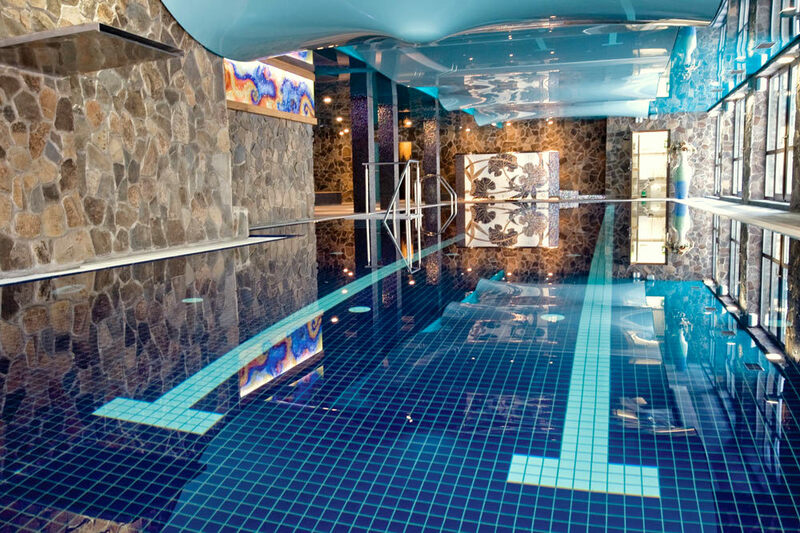 Water World offers a 20 m swimming pool, children's pool, jacuzzi or hydromassage bathtub. 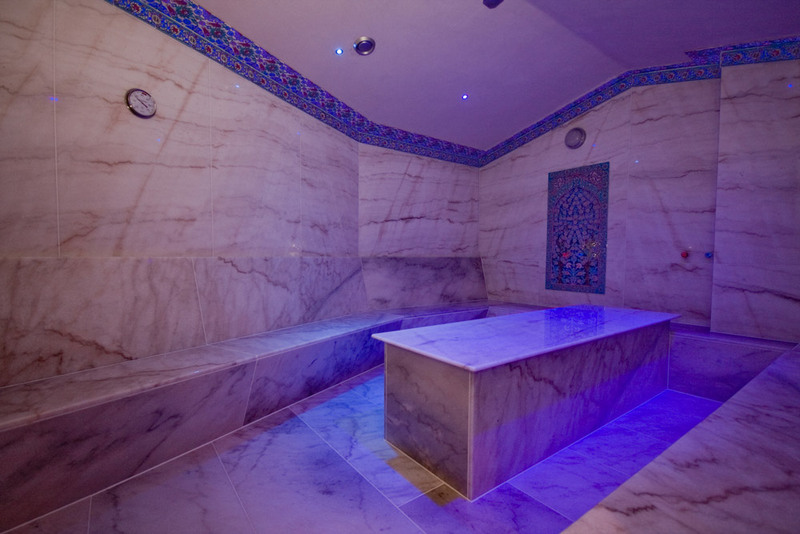 The center is located further cooling pool with a temperature of 5 to 12 ° C, ice bucket with a stream of ice water with a temperature of 12 ° C, Kneipp baths, Turkish bath, massage and herbal sachets. 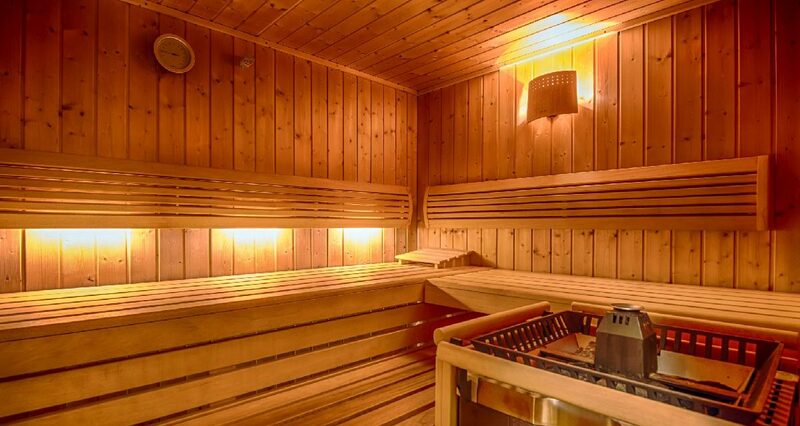 The sauna world awaits eucalyptus, Finnish, infra, herbal sauna and Turkish. 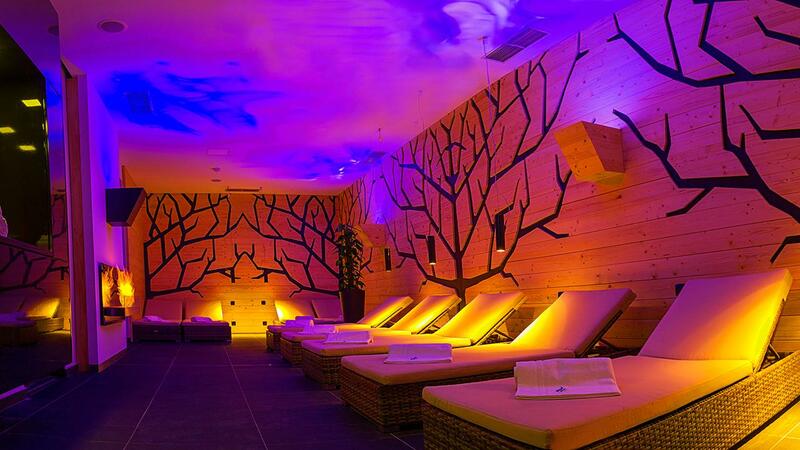 Pleasant temperatures and win a seat in the stellar tepidarium has relaxing effect. As part of the wellness center fitness, with individual and group exercises, climbing wall 11 m high for both children and adults. The wellness center of Hotel Bellevue is available 20-meter swimming pool, sauna world and a variety of spa treatments that will bring pleasant relaxation. In selecting the appropriate procedures will be happy to help professional staff - a doctor and physiotherapist. 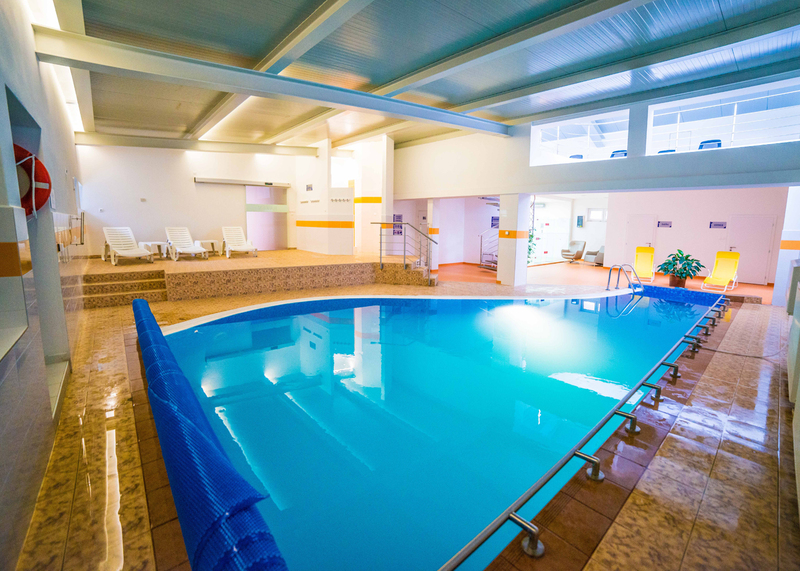 You also have the opportunity to refresh or add liquid minerals and fruit and vegetable juices and energy drinks at the pool directly Aquabar. Therapy: massage, reflexology massage, parafango and peat wrap, oxygen (oxygen enriched air inhalation for 40 to 60%) aromatherapy (essential oils beneficial effects), light and sound therapy (Crystal Bath) inhalation in chronic inflammation of the upper and lower respiratory tract, bronchial asthma, whirlpools, Kneipp foot bath, magnetic (anti-inflammatory effect, promote healing and anti-oedematous action and others). Luxury Hotel is located in the area of most ecological center in the world. Waterpark located in the indoor pools with thermal water, outdoor thermal pool, swimming pool, children pool, children's attractions, sauna world, Cryocentre, water slides, fitness, massage and other services. Relaxing hotel services include an indoor pool with whirlpool and upstream (4 x 9 m) and water at 30 ° C, outdoor pool with heated water (5 x 3.2 m), and mini vital world, which includes aromatic steam sauna , Finnish sauna, infrared sauna, outdoor cooling pool, tropical shower, ice bucket, Scottish massage cabin, ice pellets, and whirlpool. For active clients is available gym. 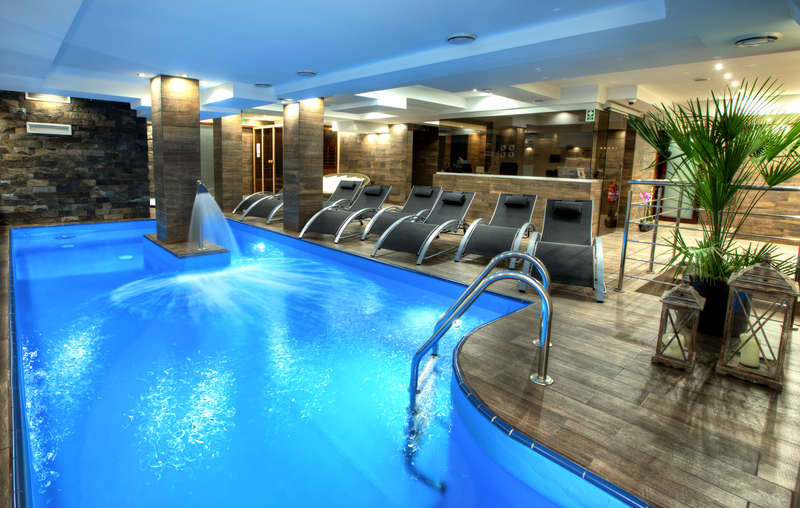 Body treat and soul, vital world - pool with water jets, saunas, massages, fitness center and tepidarium is prepared for the clients in the hotel. 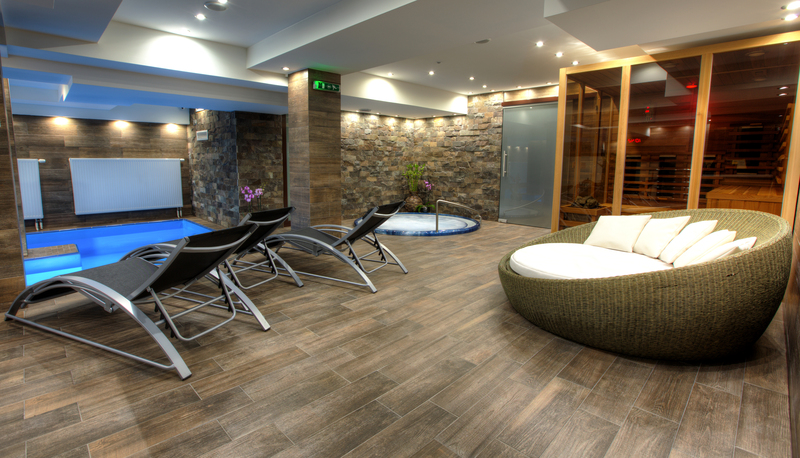 Revitalization in the newly built wellness center at Spa Nový Smokovec provides sauna, steam room, salt inhalation, infrared sauna, whirlpool, Kneipp foot baths, tepidarium, experience showers, sauna, aroma and cooling vat. Spa treatments include the following treatments: inhalation, oxygen therapy, whirlpool baths, Scottish showers, whirlpool, massage (classical and reflex), electrotherapy (magnetotherapy, diadynamic currents, shortwave diathermy, ultrasound, ventricular hydrogalvan), peat, lamp, sunray lamp, individual and group medical gymnastics, respiratory gymnastics . Pleasant Relaxation facilities include a large swimming pool with a relaxing massage and bubble massage jets, eukaplytom with steam sauna and relaxing part of the Relax bar. The swimming pool has a children's section with slides, water games for free funny: volleyball, water polo and aids for swimming. For children is available a children's play area and changing corner. Enjoying a massage therapy you can experience at the hands of the empathic therapists offer Beauty Centre. Part of the hotel complex Hotel *** Titris Odborár Aquarelax the water world. 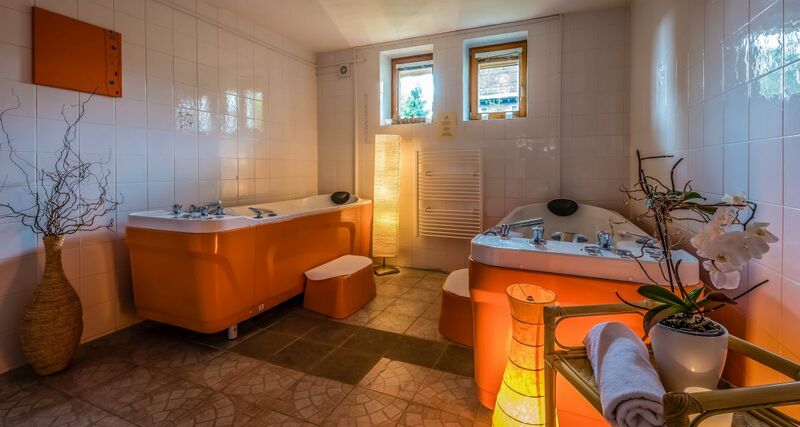 Attractions, the hotel facilities ranked among the top vysokotatranských hotels, with the broadest range of additional services throughout the year. The center is divided into two zones. In the Zone I. find recreational pool with upstream massage session with massage, spinal massage jets, bottom nozzle hydro massage the legs, air geyser, acceleration channel, sleeping air balloons full body massage, water spouts to massage the top of the spine, wall hydro, water mushroom a slide with water flow. In zone II. is dry, bio herbal sauna, wet - a sauna, cooling pool, cooling output to the exterior brodítkom and shower, whirlpool bath, shower and restroom. As part of the massage services provided to each zone is available for social and public health background, professional staff and aqua bar. 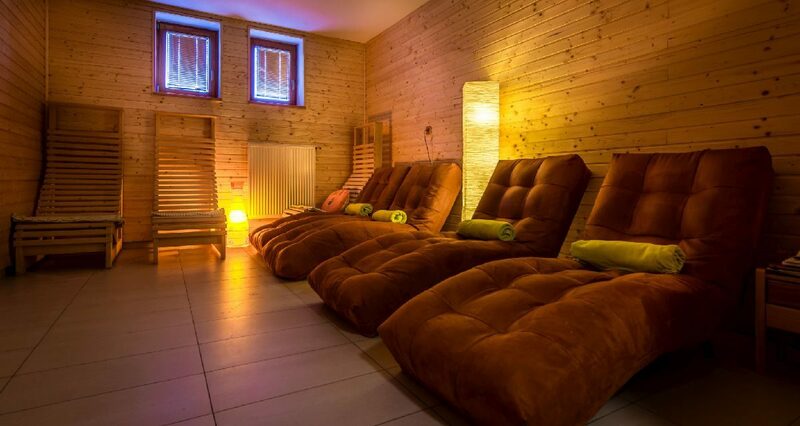 In the Hotel Villa Siesta you can try Finnish sauna, infrared sauna, hydromassage bath, various types of massage. There is also a small fitness center and table tennis.